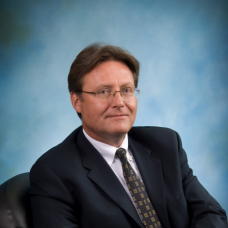 A TREB Member for 27 years, Mr. Lusink has served in a variety of positions in both commercial and residential real estate from Business Owner to Broker Of Record/Manager and from Trainer/Coach to Marketing Manager. As a TREB Director, he is committed to fostering professionalism and education in the real estate business, and to offering leading technology and tools to support the needs of Greater Toronto REALTORS®. In addition to previously serving on TREB’s Professional Standards Committee, Mr. Lusink contributed to the Real Estate Council of Ontario’s Discipline and Appeals Committee for five years. Currently, Mr. Lusink also serves as Chair of TREB’s Government Relations Committee. A Certified Commercial Investment Member for more than a decade; he is also a Certified Business Coach and recently became an SRS (Seller Representative Specialist) designee and trainer as well as a CRB (Council of Real Estate Broker Managers) designee.